Arrive in Winnipeg where you will stay at the Four Points Sheraton at Winnipeg Airport. Enjoy dinner at the hotel where you will meet your group and your adventure specialist. After an early start, arrive in Churchill by air where one of our expert staff will meet you at the airport and provide you with an orientation to the tour including clothing check. You will then be transferred by fixed wing aircraft to our Dymond Lake Lodge. 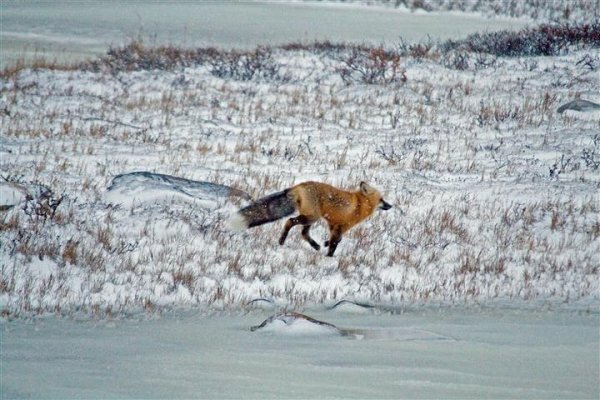 Keep a sharp eye out en route for possible sightings of caribou, moose, seals, wolves and the Great Ice Bears. Your hosts will provide a tour of the Lodge and get you settled into your room. 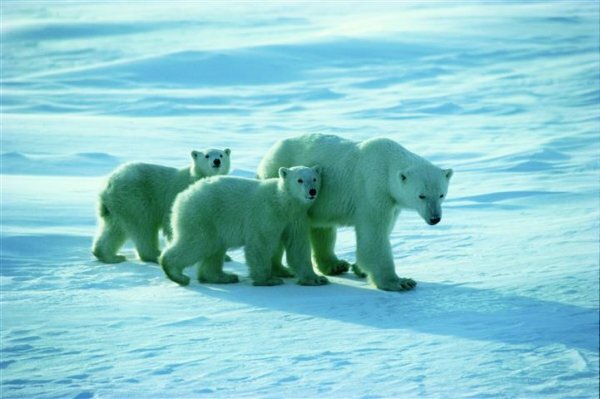 A thorough oriÂ­entation on travelling in polar bear country will be provided prior to any outings. 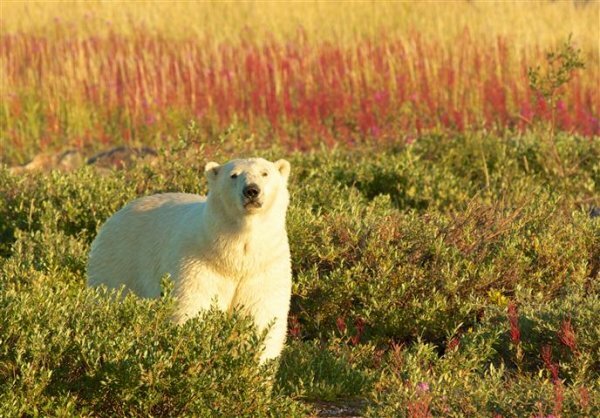 Today includes a guided hike on our rugged and starkly beautiful coastline, an interpretive slide show featuring the wildlife of Hudson Bay, and hopefully a clear night for viewing the Aurora Borealis. Dymond Lake Lodge features a heated Aurora Dome for northern lights observation. All this will be topped off with a lunch and dinner where your hosts and guides will regale you with tales of life and adventures in Canadaâ€™s Arctic. We will also have local presenters on hand to provide guests with an insight into the local cultures and traditions. relaxation time to follow. We head back out around 2:30pm and we return to the Lodge by 5:00pm for drinks and appetizers. Your full course delectable dinner is served at 7:00pm. Your guide team will give informative lectures and beautiful slide presentations as well as initiate a discussion about the activities for the following day. After another hearty breakfast and itâ€™s time to pack for the flight back to Churchill. On arrival your bags will be stored for you until you can check into your hotel later in the day. You are then free to explore this frontier community at your leisure. Dog sledding and helicopÂ­ter charters fit nicely into this afternoon if youâ€™re so inclined. You will be provided with a $30.00 dinner voucher to use at participating restaurants. 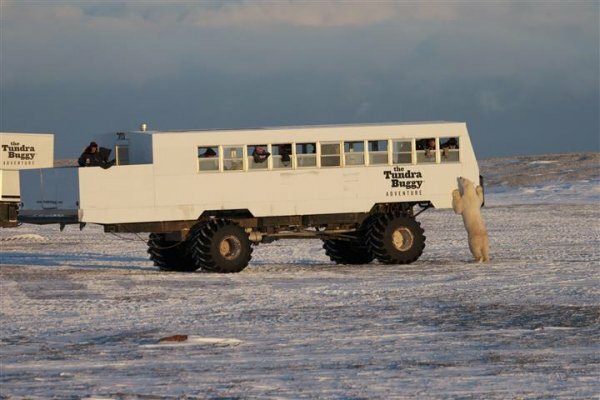 Today you will travel across the tundra in the world famous Tundra BuggyÂ® for more polar bear viewing. Lunch â€œwith the bearsâ€ will be prepared and served to you on the tour. Your flight south to Winnipeg is scheduled for this evening. You will check into the Four Points Sheraton at Winnipeg Airport upon your return to Winnipeg. Tour ends. Enjoy a breakfast before your checking in for your flight back home.